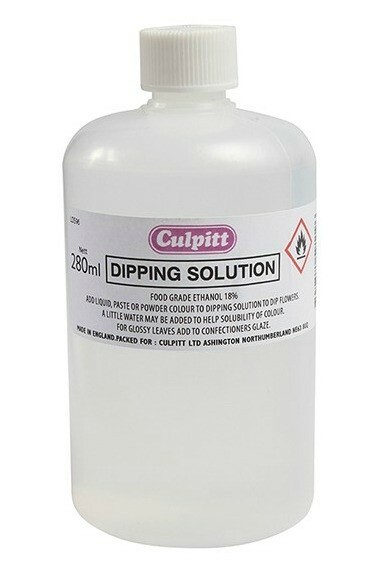 Culpitt dipping solution is another great product from culpitt, this food grade isopropyl alcohol can be used to colour flowers when mixed with lustres or tints, or glaze when diluted with confectioners glaze. 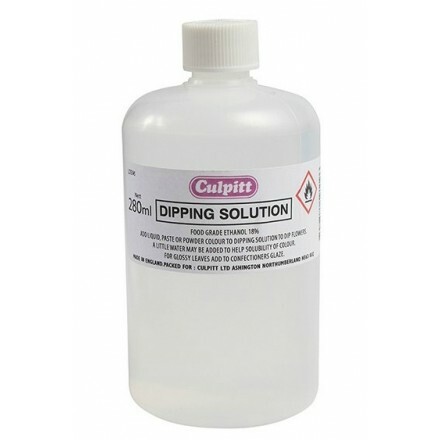 A great product for those cake decorating projects. Please note this product is highly flammable, as such we are unable to send this off Mainland UK.